These aren't the healthiest treats you can make, but they sure are tasty for a special occasion! If you are having a small party with kids, these would be great to make for everyone. Besides, who (besides vegans) doesn't like bacon and cheese? These are really easy to put together as well. Just watch the short video below. 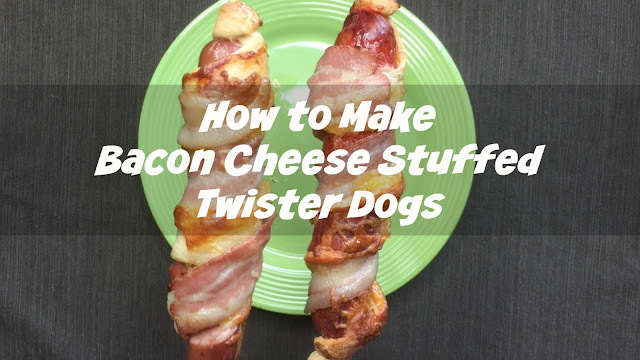 All you need are kabob sticks, hot dogs (or your favorite sausage), shredded cheese, bacon, and pre-made pizza dough in a can. When you bake these in the oven, make sure and cover the cookie sheet in foil and use a little non-stick spray. Enjoy!